Wait, I thought Bolivia was supposed to be the cheapest country? Then why do we have such a high cost per day here? All these tours include accommodation and food. Prices usually do not include tips for the guides, and since we had all good experiences we did a lot of tipping. 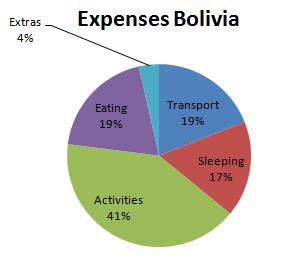 Bolivia is however cheap in terms of food and accommodation. We spent an average of € 10,70 per day, for the two of us on food and € 9,28 per day (again for the two of us) on accommodation. And we splurged more than usual, because we could. 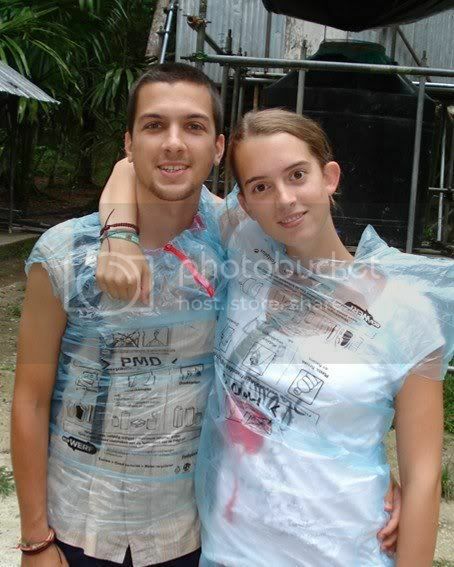 So Bolivia can be even cheaper for those on a very tight budget. Finally, we took 3 flights. Considering the time you win (although don’t count on punctuality with TAM airlines) and the added comfort, the prices were very reasonable. Click here to see what travelling in Chile and Argentina may cost you. heel handig om weten, want ik trek er in augustus naartoe! geniet nog van jullie avontuur!